← The rocky road from print to digital – part one! Last week, I started to tell you about my busy last twelve months, getting the copyright back to four of my early Mills and Boon novels, and starting out on the journey to revive them as e-books. I received the copyrights in June last year, and set about transferring the printed word to my computer with the help of my new Fujitsu scanner. So, scanner, paperback novel, scissors – job done. Or at least, job started. I now had 50,000 words of the newly scanned text from my 1989 novel, MELTING ICE, my list of helpful re-formatting tips (from fellow author Freda Lightfoot,) and a steep learning curve ahead of me. Maybe I chose the harder path. I could have just re-published my first novel in its original form, as a Rosalie Ash ‘Classic’. But I felt personally involved with the theme, the location and the characters. I wanted to give them a bigger story. I resolved to re-write the whole book. 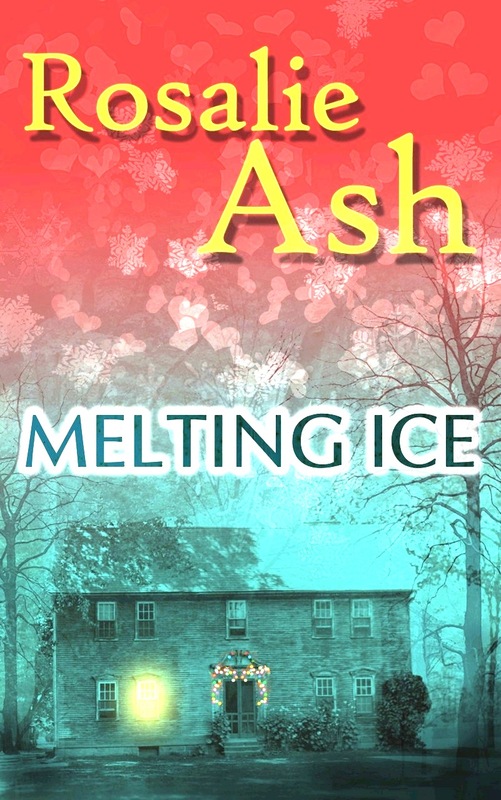 MELTING ICE, Book One of the Roundwell Farm Trilogy already begins to break out of the mould of a short, contemporary Mills and Boon romance. Book Two will definitely move into deeper territory. There are now three sisters, Victoria, Megan and Jessica, who turn their family farm into a thriving business whilst struggling with the ups and downs of personal relationships. The setting, rural Warwickshire, is where I’ve lived all my life. Together with the village and the farmhouse, the county itself creates an effective ‘crucible’ where the characters all live and work in a close-knit environment. Harbridge is fictional, but is typical of many small South Warwickshire villages, not too far from the border with the Cotswolds, where the farms and cottages are built of mellow stone. Being right in the heart of England, as far from the coast as you can get, it has a slightly stifling, claustrophobic atmosphere where everyone tends to know everyone else’s business. Ideally suited to the intensity of the Melting Ice plot! By the end of Book One, Victoria and Matt have faced their emotional demons, and have resolved their differences, but in Book Two Jessica’s life hits the metaphorical crash barriers and her story is how everyone copes with the emotional fall-out. I’m really enjoying writing Book Two, because, well, in fact, I can personally relate to quite a lot of Jessica’s crisis! To help me to do all this re-writing, I decided to install Scrivener. This piece of writers’ software offers too many helpful features to list here, but one of them in particular gives the option to break down scenes into separate text documents, that can then be switched around like virtual cards on a corkboard. At the end of the re-write, you can compile the whole manuscript at the click of a button, into whatever format you choose. Amazing! Sounds simple, and it is, but you still have to teach yourself how to use it! Lots of emails with a helpful Scrivener techie called Jeffrey got me through the worst of it. And then of course, in the meantime, loomed the scary ‘social media platform’. That virtual DIY soap-box, essential as a marketing tool. Of all the 21st century writing necessities, this has to be the most fascinating and frustrating. More next week, and meanwhile I’d really love to hear from you, whether you have a similar tale to relate or some advice for a still-learning ‘print to digital’ student. So please, leave a comment. This entry was posted in Romantic Fiction and tagged Amazon Kindle, books for kindle, books for the kindle, contemporary romance, digital, e-books, free books on kindle, kindle e books, love stories, Mills and Boon, re-formatting for e-books, romance, romance novels, Rosalie Ash, Scrivener, social media platform, South Warwickshire, writing a novel, writing books. Bookmark the permalink.